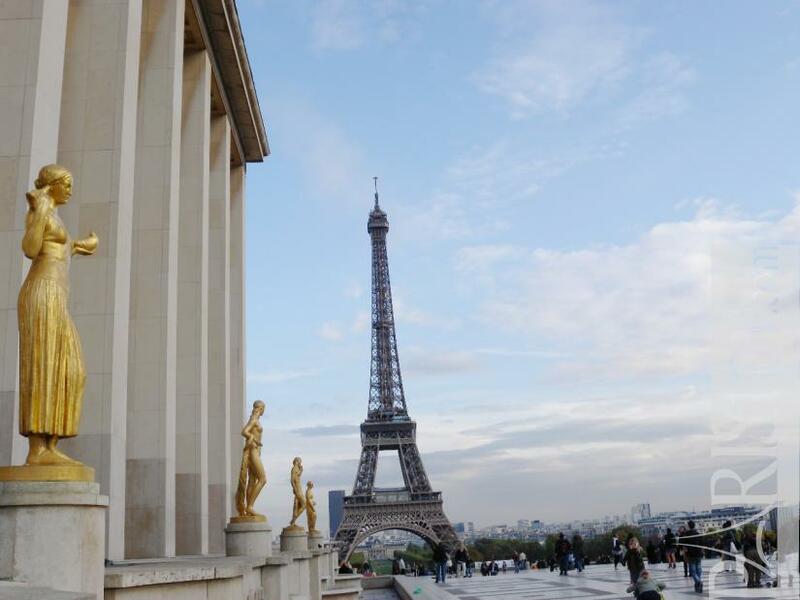 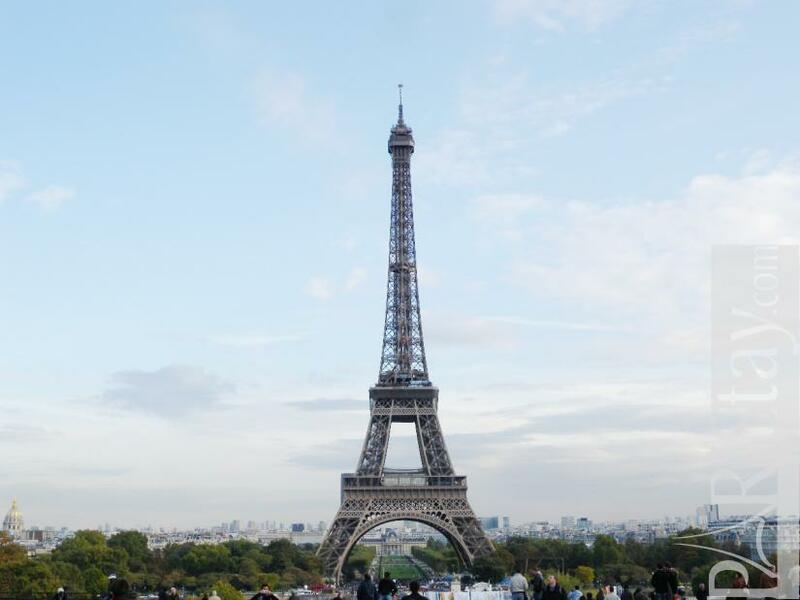 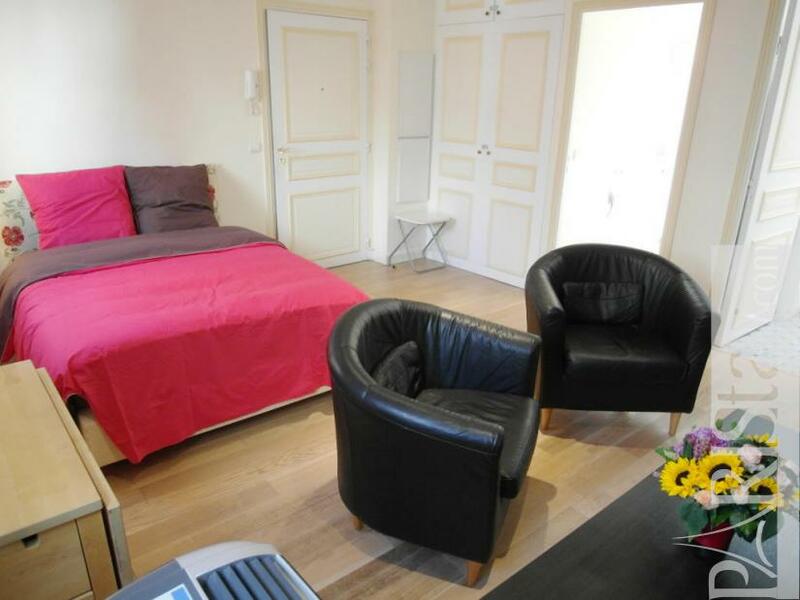 This fully furnished Paris studio is steps away from the famous Trocadero, the wonderful Eiffel Tower as well as the well known Champs Elysees. 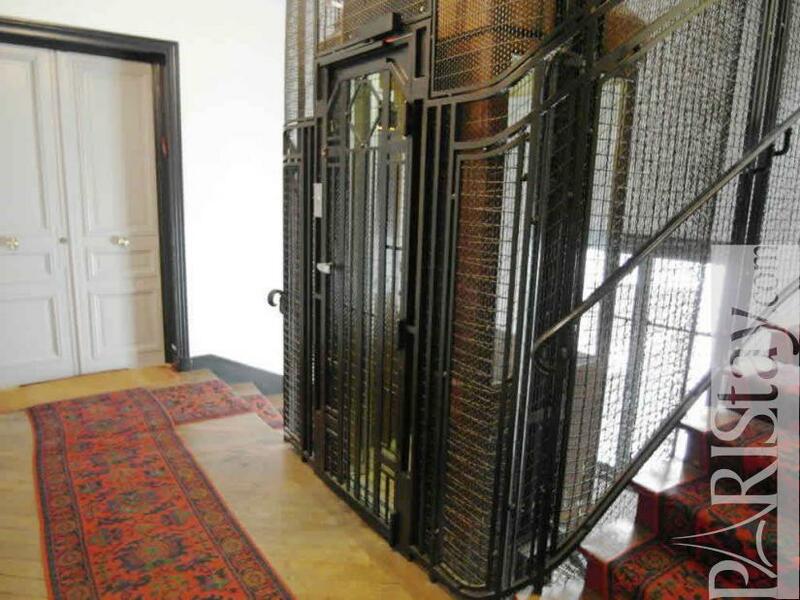 Situated on the 6th floor with elevator of a very secure building. 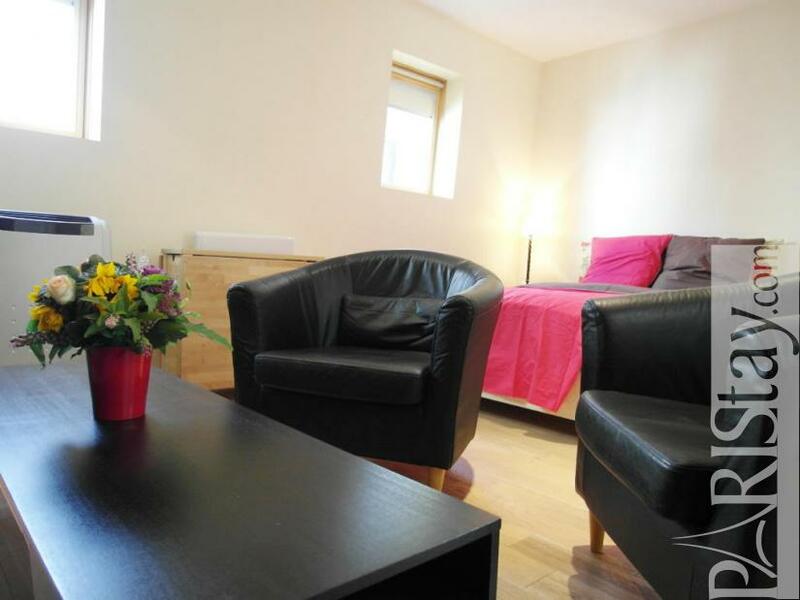 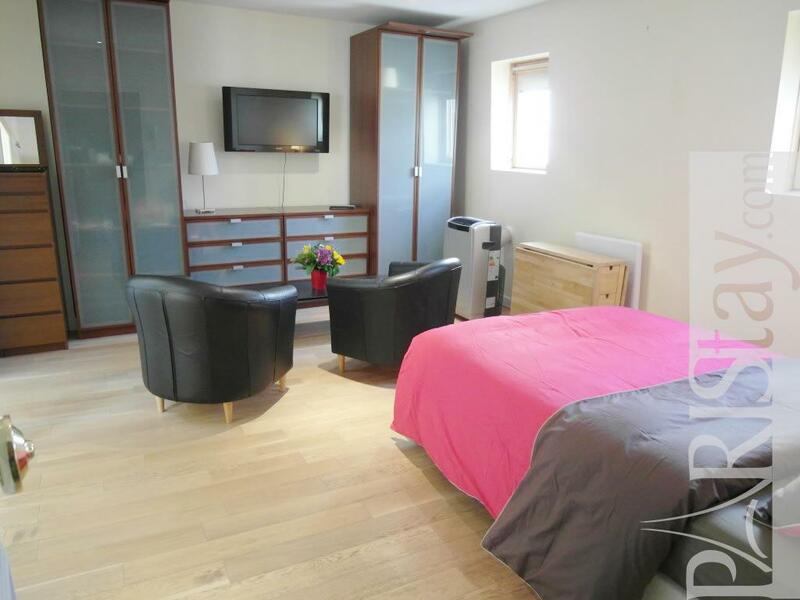 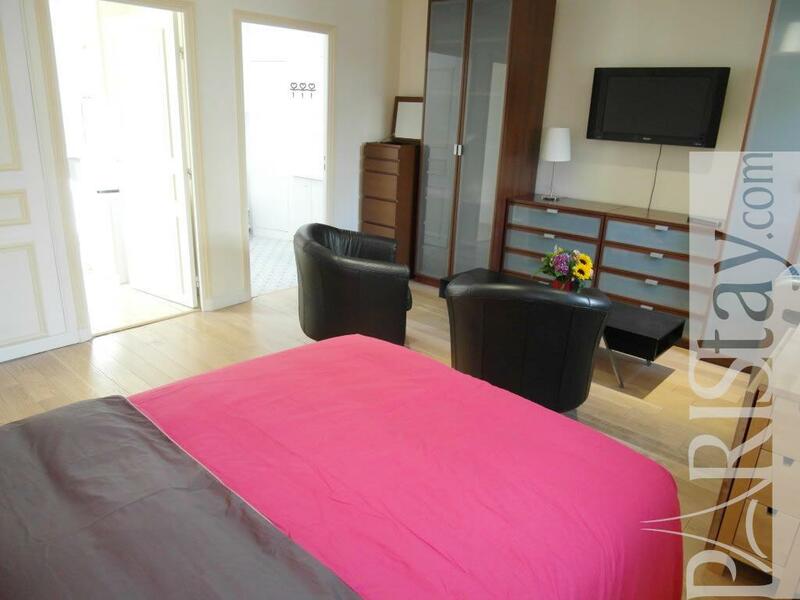 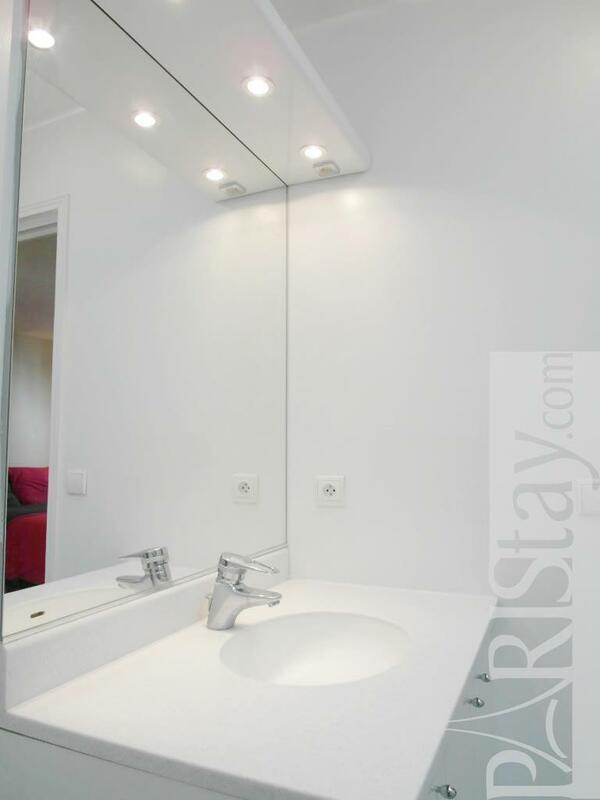 Paris luxury rentals for a comfortable stay, this flat has a quiet spacious bedroom equipped with queen size and several cupboards. 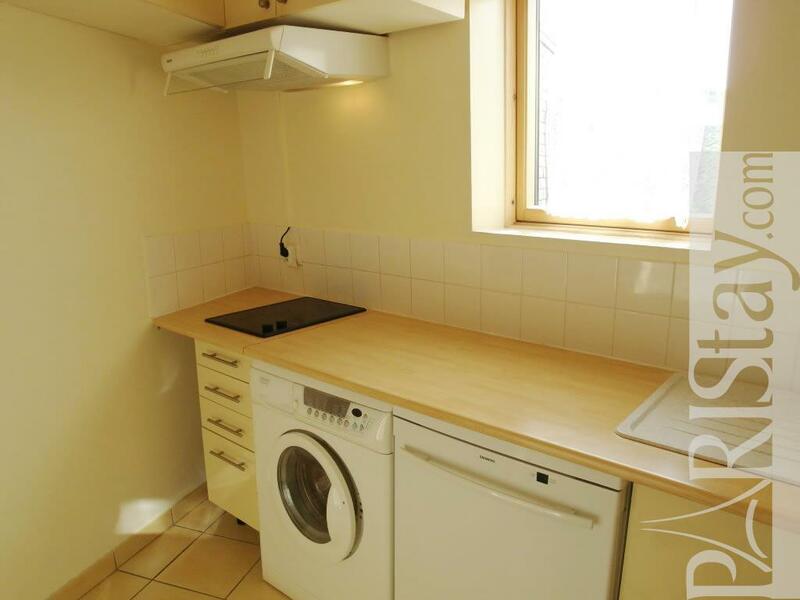 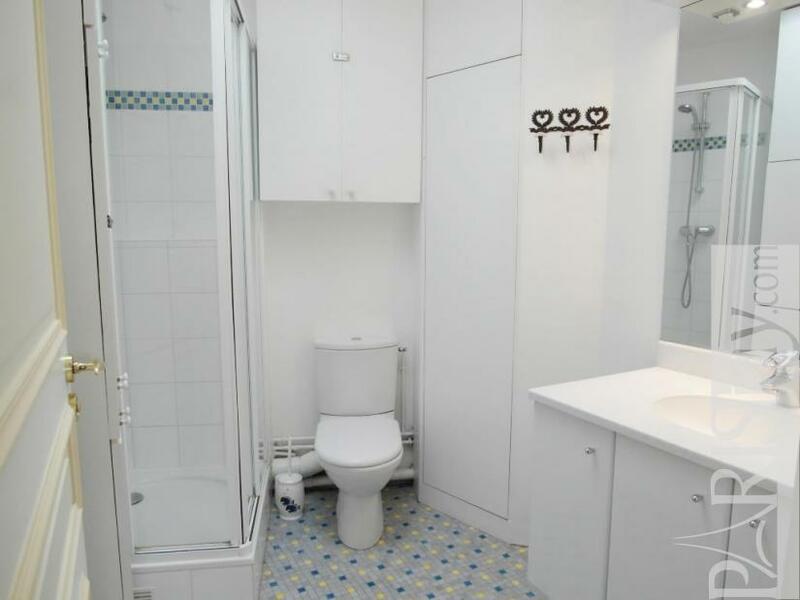 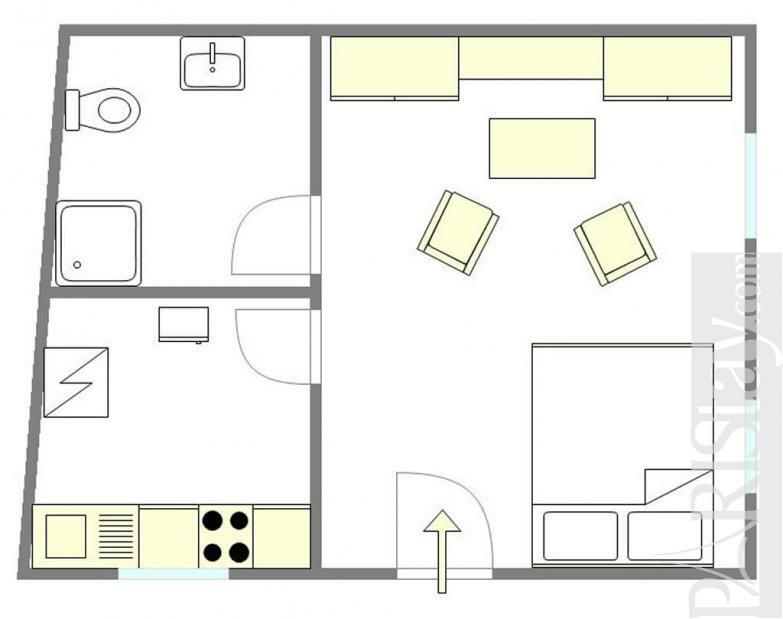 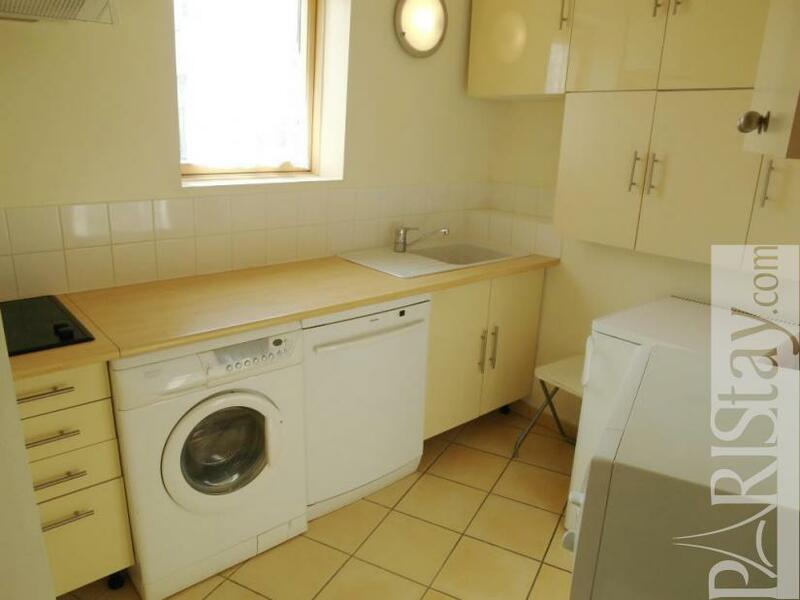 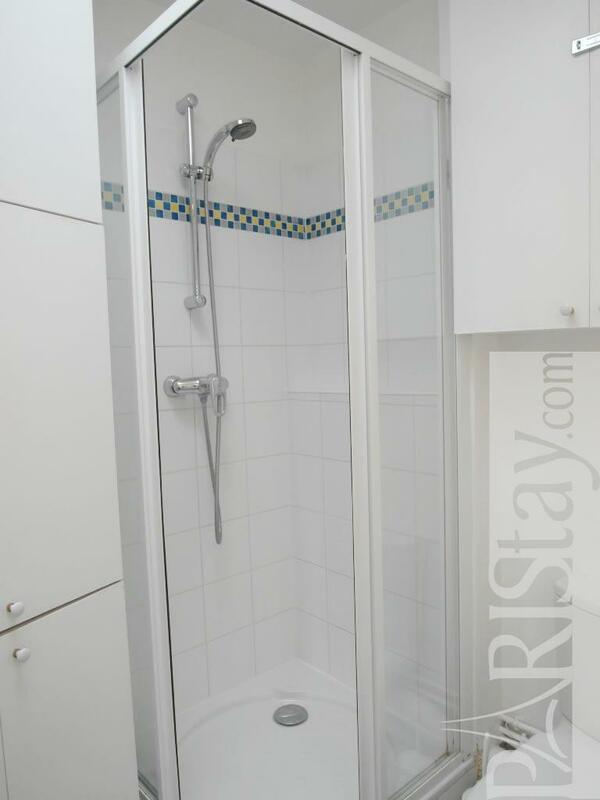 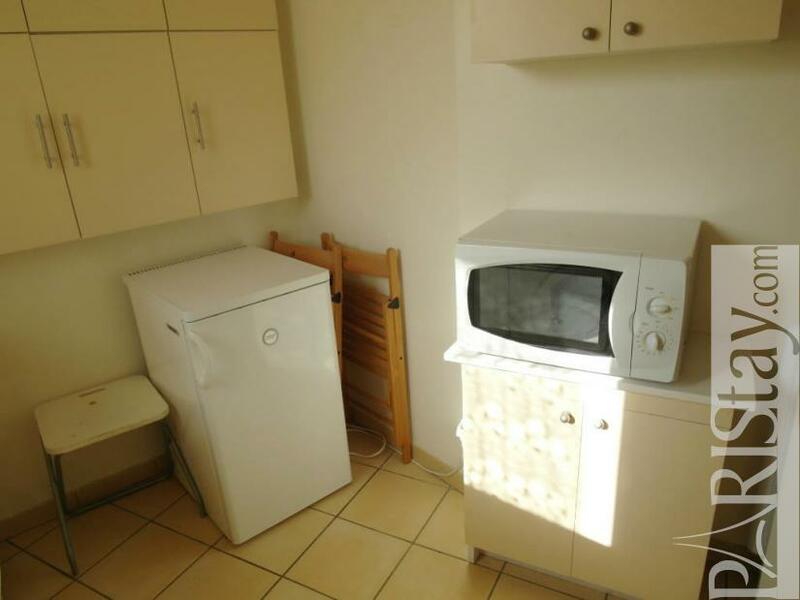 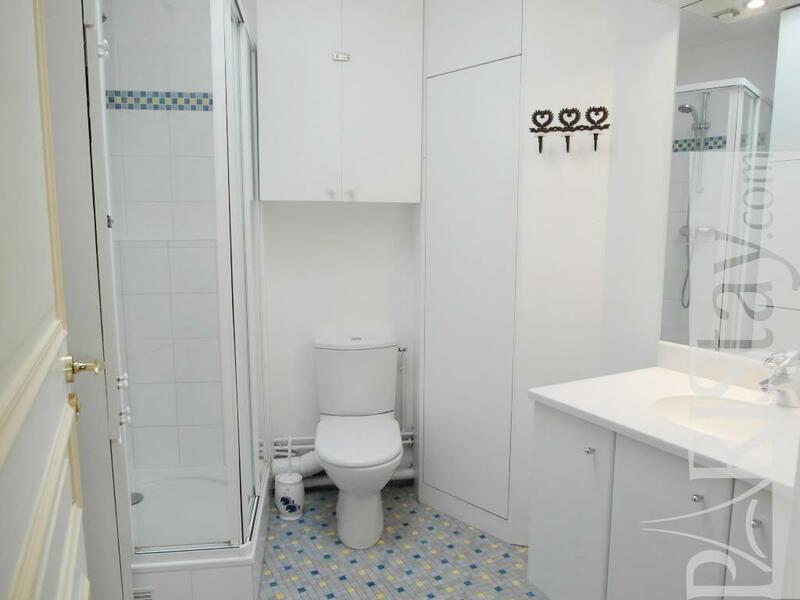 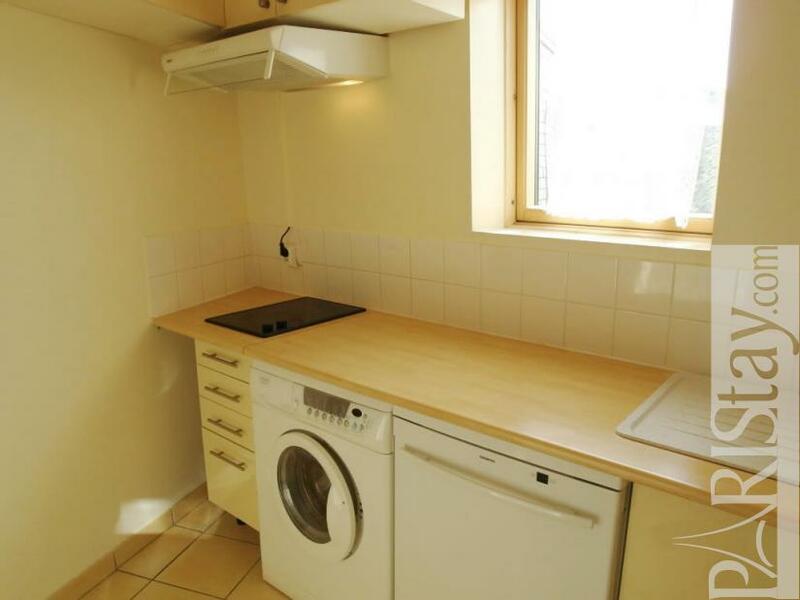 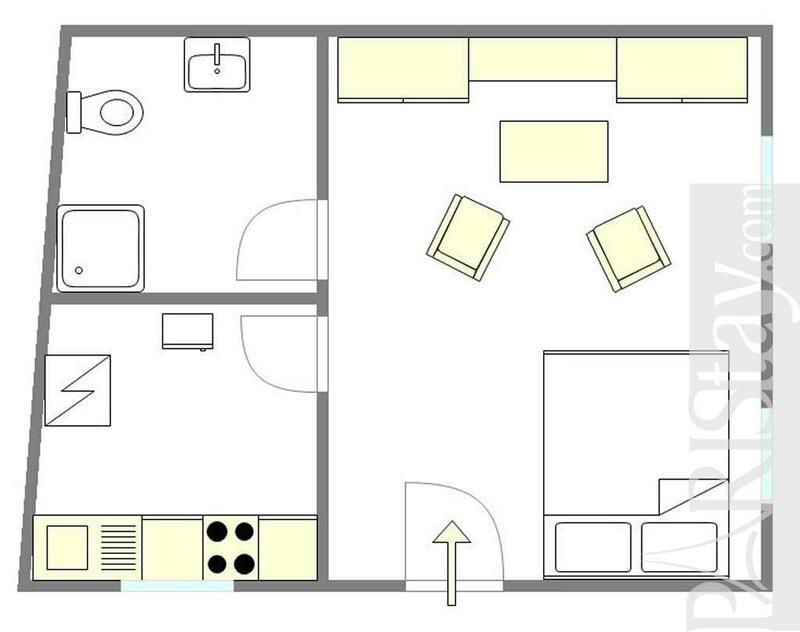 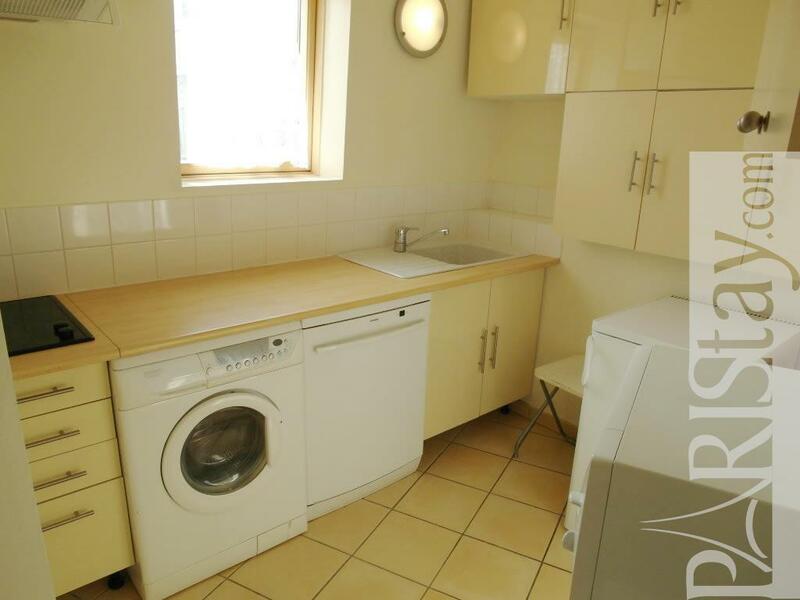 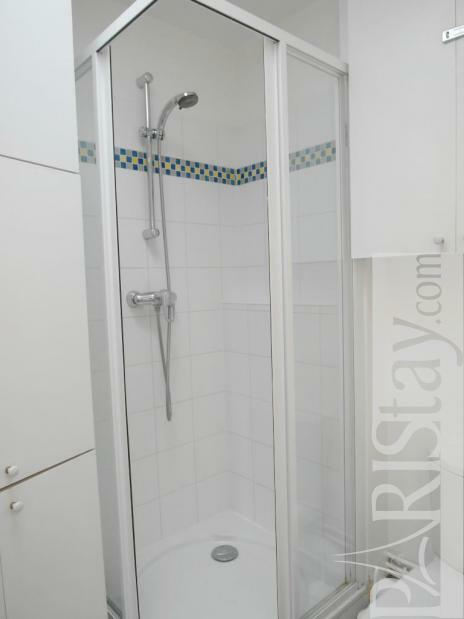 The luminous shower room is separate as well as the kitchen wich it is completely furnished. 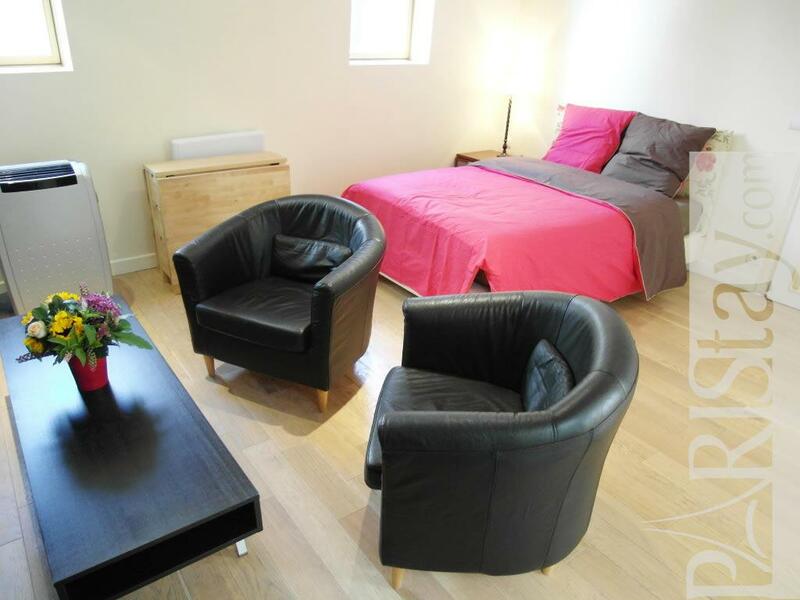 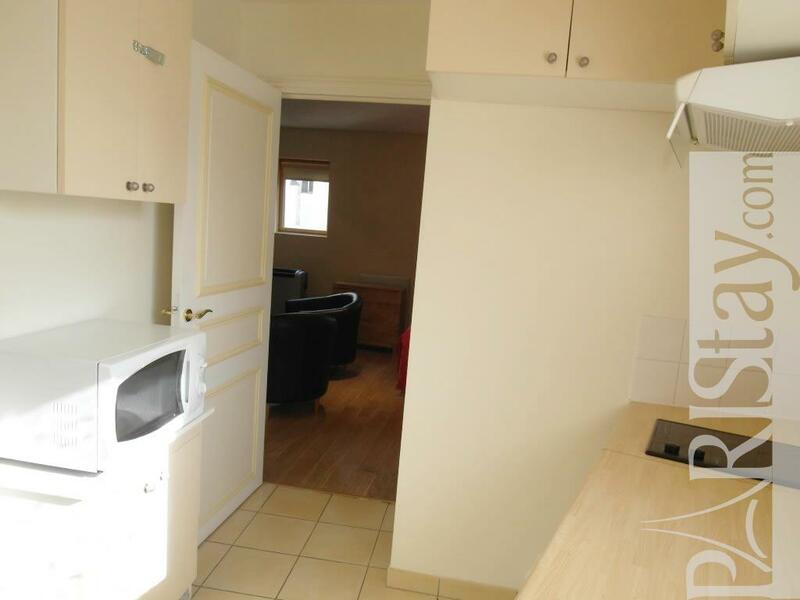 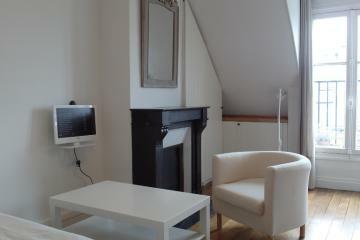 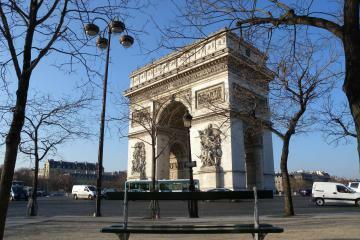 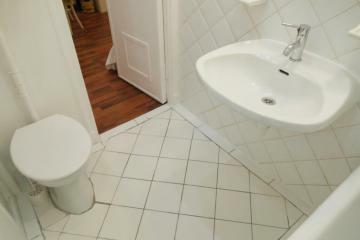 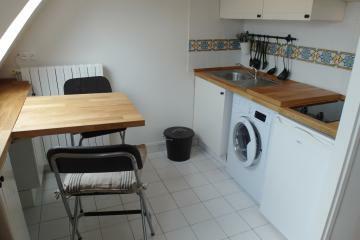 Ideal Paris long term rental in the heart of the city. 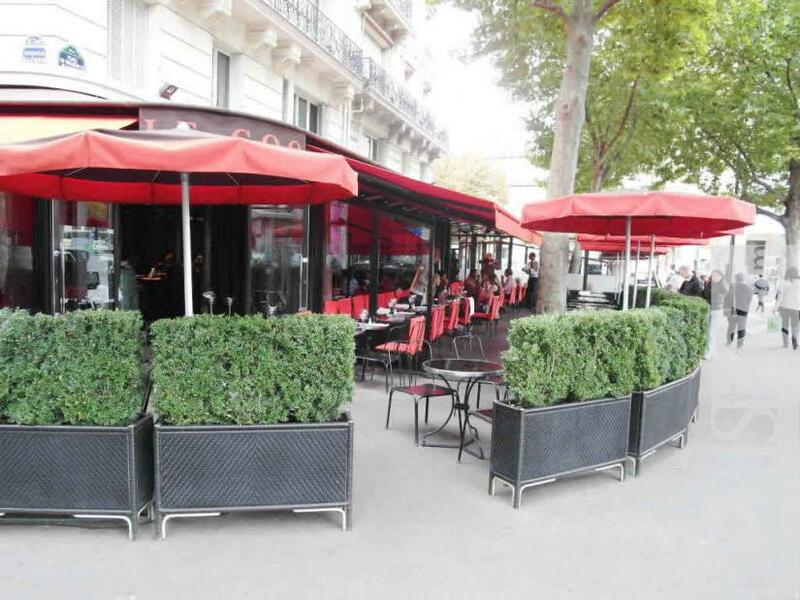 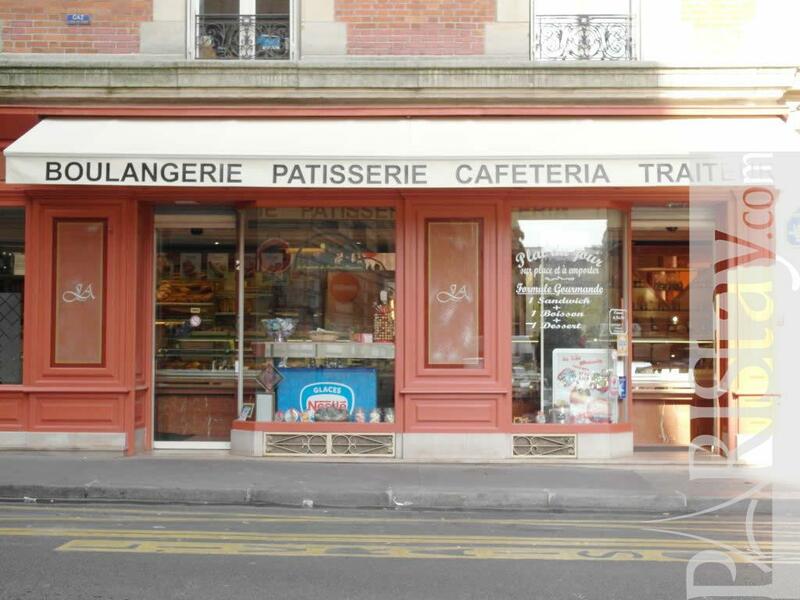 Surrounded by numerous cafes, restaurants in a typical and authentic Parisian neighborhood. 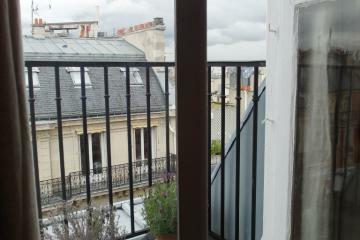 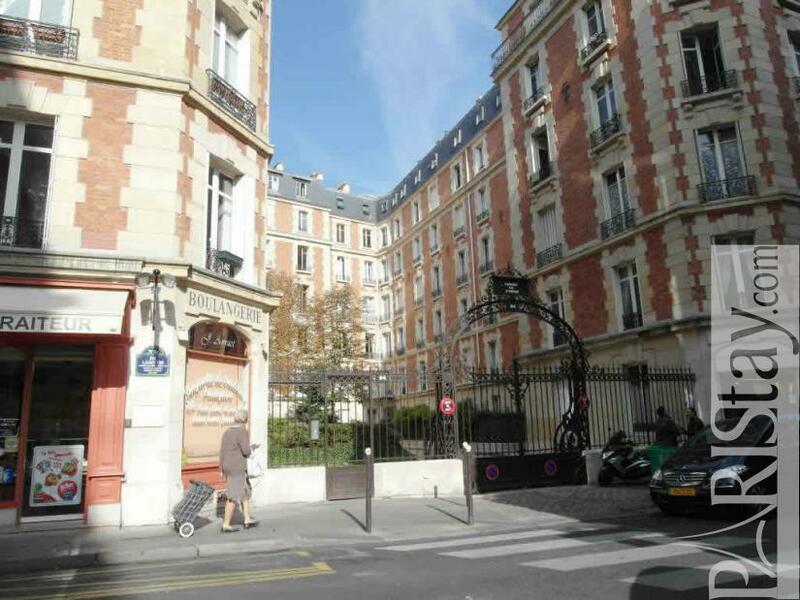 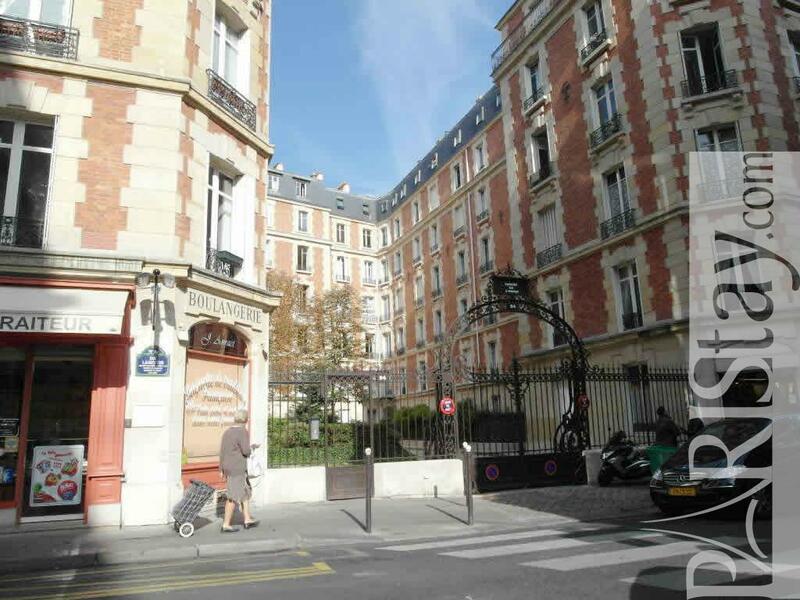 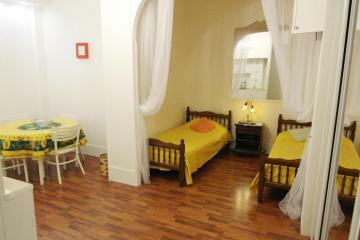 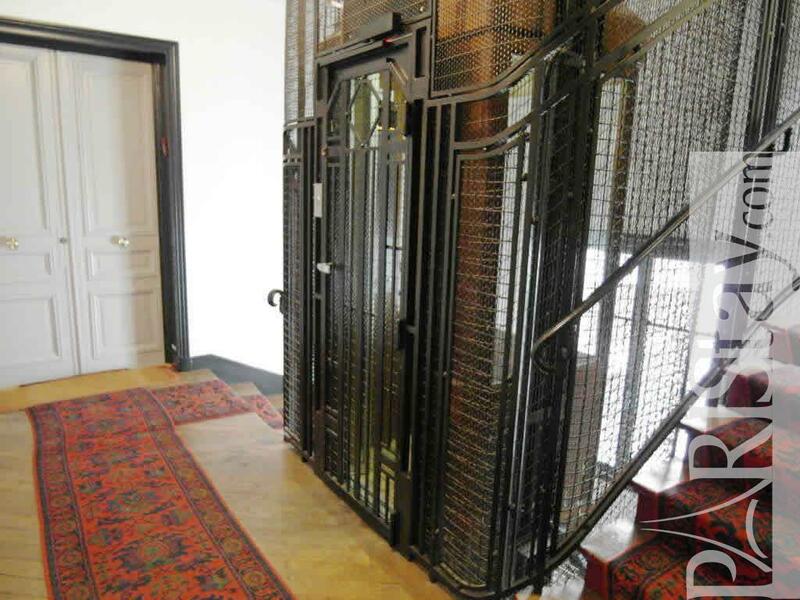 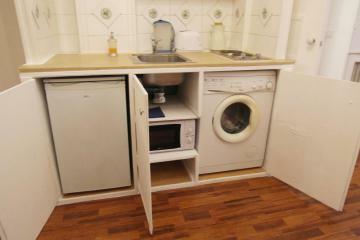 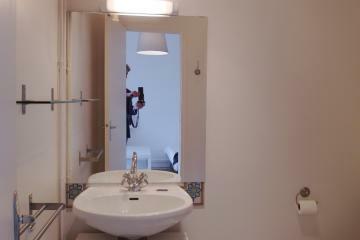 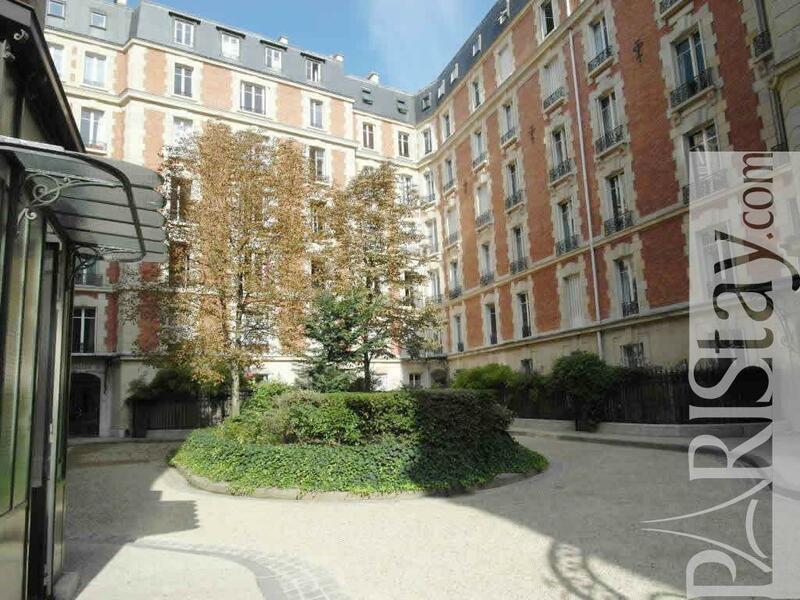 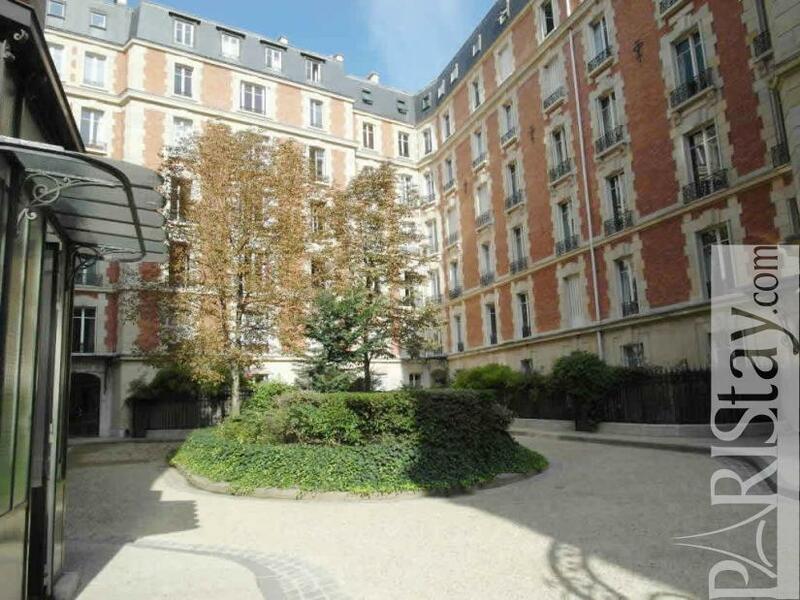 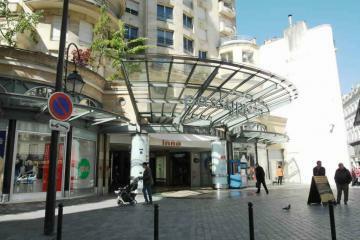 1900's Building, 6 rd floor, with Lift, entry code security system, Studio Appartement, furnished, Approx: 34m² / 366 Sq.Ft.